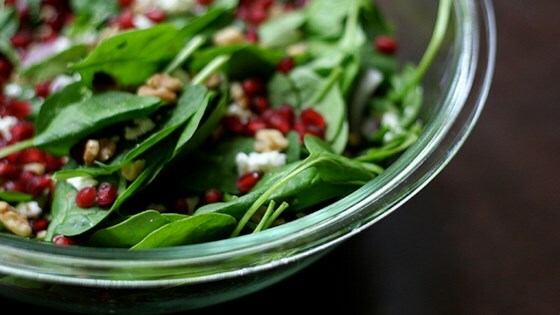 "A very quick and nutritious salad made with pomegranate seeds and feta cheese." Love this recipe! Most recently, I was unable to find pomegranates out-of-season, so I had to do a last-minute substitution of mandarin oranges. Was delicious and colorful too!